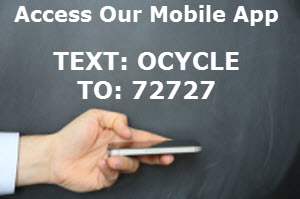 Electronics Recycling - Electronics Destruction | Phoenix, AZ - Sale this Saturday, May 17th, at our Florida Location! Sale this Saturday, May 17th, at our Florida Location! 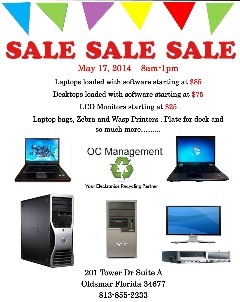 Come out to 201 Tower Drive, Suite A, Oldsmar Florida, this Saturday, May 17th from 8am - 1pm and get a GREAT deal on a refurbished computer. Laptops start at $85. Desktops start at $75. They are loaded with software and ready to go! Lots of other items are available also. Stop by and check it out! e-Waste Drive and Computer Sale in Heber-Overgaard August 16th! Memorial Day Sale this Friday and Saturday, May 23-24.